The microprocessor-controlled Sonicator Plus 992 is a two channel combination unit. 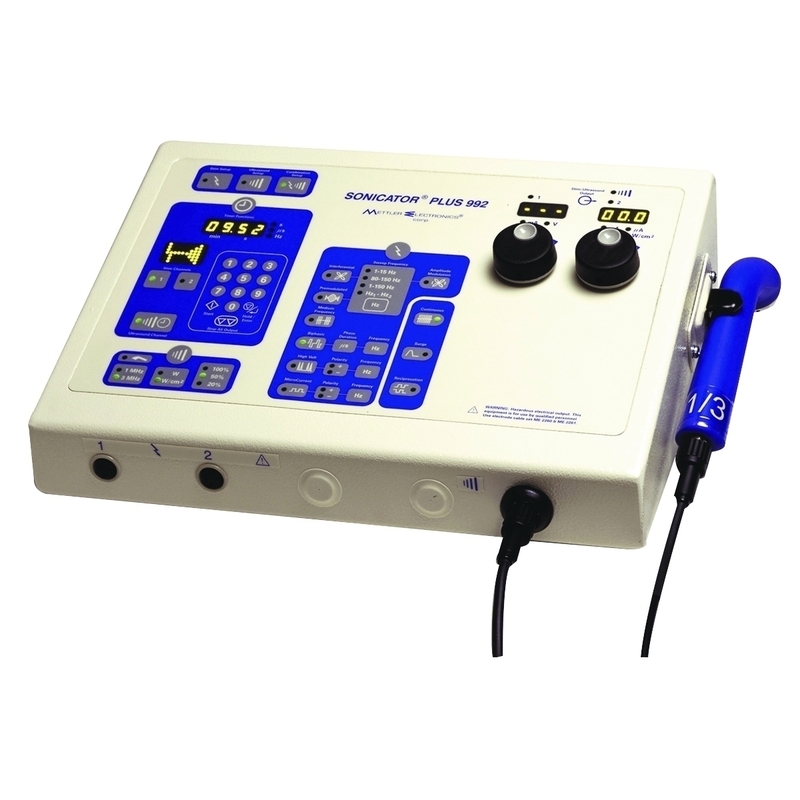 It combines 1 and 3 MHz ultrasound with six treatment waveforms: Interferential, Premodulated, Medium Frequency (Russian), Biphasic, High Volt and Microcurrent. Dimensions: 5" x 10" x 14.5"
Notice: Typically ships in 3 weeks. This item can only be purchased by or on the order of a physician or other practitioner licensed to use or prescribe this device. Resellers must only sell to a buyer who meets these qualifications.